iPhone comes with many default ringtones which most of the people may not like. Fortunately, there are many ringtone maker applications which allows you to make ringtones of your choice. If you want multiple features in your ringtone app with no ads, you can go with any of the application I am going to mention here on the list. This is a free application you can download to trim any sound or music you like. You can easily control start time and its endpoint with full accuracy. If you want your own voice to be set as ringtone, this app gives you permission to do that as well. It includes MP3 editor, trimmer and merger which makes it more convenient to edit, trim or merge any music of your choice. • Easy to use. This application is very easy to use. You just have to select your song which you want to trim or edit and trim it according to your choice of length. • Millisecond-level cut. Its advanced technology helps you to cut the ringtone with 0.1 second time accuracy. • File Export. You can also share your ringtone through iTunes file sharing instantly after trimming the sound. We always find ringtones that match our moods and expressions and for those ringtones, you don’t have to go anywhere, Zedge has it all. Most popular and trending ringtones are showed on the very top of the homepage. You can find and trim according to your mood. The users will only get relevant content and a great experience. • Big data playground. The world uses Zedge for around 15000 every second with a vast variety of ringtones according to the moods of different people. • Easy sharing. You can also share the ringtones easily to your friends through social websites like Facebook, Instagram, twitter etc. • Easy to use. When you log in, you can find trending and most used ringtones on the top so that you don’t have to search the trending videos. This is a free ringtone application with an extensive library from which you can choose your music to trim. A recorder in this application also helps people to convert their own voices into ringtones which you can share with your friends as well. This feature makes this app unique from other applications. • Four in one app. This application offers its users some extensive features like soundboard, a collection of tones, a ringtone recorder, and creator. • Weekly update. Ringtones are updated every week so that the users get regular trending videos in their feed. • Easy adjust. You can easily adjust the start and end points. Trim the sound according to your own needs and experience. You can also find wallpapers as well along with the ringtones. This app allows you to create unlimited custom ringtones, text tones, and alert tones. You just have to select the audio which you want to use, swipe the audio wave and cut the desired clip. When you download this application, you get a free text tone pack for a limited period of time. This app is very easy and fast to use. You need to sync the tunes with the iTunes so that you can use this app conveniently. • Separate text tones. You can use different text tones for everyone in your address book. Isn’t it interesting? • New update. The new update of this application is compatible with the latest iPhone X. You can also create ringtones for your emails and calendars. This is yet another application for creating ringtones from your own music library. This app gives you unlimited access to ringtones. Moreover, you can preview the ringtone you made before downloading. There are different categories from which you can select which kind of ringtone you are looking for like message ringtones, email, voicemail, calendar etc. fade in and fade out for ringtones is also available. Import and share the ringtone to your friends and family. Select the song you want to set and slide the arrow to cut down your desired sound. Preview the sound and use it. 6 Ringtone Maker from MP3 Songs. 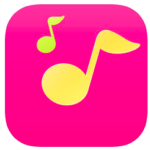 This app allows you to create free ringtones and it is fully compatible with your iPhone. The only feature which makes it unique and different from any other application is that you can create the ringtone from videos that you watch on Youtube and Tiktok. It also helps people to sleep with sleep music feature that is embedded inside the application. • Supports mp3. This application fully supports mp3 music. You can easily select the music from your music library and convert it into mp3 if it is not. • Easy sharing. When you make your favorite ringtones from the app, you can also share it through the mail to your friends and family and let them know about the awesome features of this app. • Ringtone from videos. This feature makes this application unique. You can create the ringtone by your favorite videos that you watch in trending app Tiktok or Youtube. This is yet another application for making ringtones. Ringtone converter is updated with Star Wars Rogue One and The Walking Dead Negan Parody tones. There are also many comedy ringtones for those people who like some funny ringtones for text, calls, emails etc. it is redesigned with new features which creates long and small ringtones according to your choice. • Hahaas comedy. This has been a leader in comedy ringtone world from last 10 years. Lots of new funny ringtones have been added with the latest update of this application. • Unique searching. You can also search through who’s calling, type of tones, browse by different categories etc. • Weekly update. New ringtones are added up every week to keep the users updated. There are so many unique features in this application which makes it worth downloading. This is the best application for those who want scary ringtones for their calling, a text, mailing etc. this application has a lot of scary ringtones which includes Halloween tones, horror-themed tones etc. with HD sound effects. You can choose different tones for all of your contacts. This application is best suited for those who love horror movies and tones. Everybody wants to have a great personality; we should give our phone a unique personality as well by downloading horror sound tones application. Most people use default ringtones but you should try horror tones once. • Unlimited downloading. This app gives you access to unlimited tones with no in-app purchases. Scare your friends and other people every time your phone rings. It’s kind of fun. Unlimtones allows you to create unlimited tones and ringtones according to your choice. It also supports MP3 format and you can download or record your own music. You can also create custom ringtones and text tones for everyone in your contact list. You just need to sync with iTunes to get started. It is quick and easy to use. The new update comes with minor bug fixes. In this application, you can create your own ringtones by your recordings. You can also create your own favorite ringtones or use the pre-made tones by the users. Multiple of comedy ringtones are there in the application like animal, funny, hip-hop etc. it is clear from the heading of this application that you can find around 500000 ringtones in the application. There is a variety of ringtones you can choose from according to your own wish. Ringtones were so popular decades ago and people used to find some unique ringtones so that they can personalise their cell phone. Nowadays, people normally use the default ringtones but having a ringtone is still interesting. There are so many applications which give you ringtones of the latest songs or they give you an option to make a ringtone in your own voice or make it through any kind of video you like. I have explained some best ringtone makers for iPhone which you can download and personalise your phone.